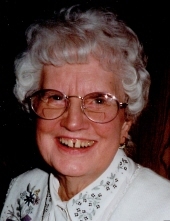 Lois Huebner age 87 of Crivitz, passed away on February 3, 2019 with her family by her side. She was born to the late Sigl and Marie Mitchell on April 25, 1931. She Graduated from Wausaukee High School in 1949. After school she worked at WBAY Radio Station until she married the love of her life Robert Huebner on December 30, 1950. She was a nursery school teacher for over 12 years in Green Bay. She was an avid bridge player. Lois had a passion for reading, knitting, quilting and painting. She loved spending time with her grandchildren. She is survived by her loving husband Robert, 3 children Bruce Huebner, Brian (LuAnn) Huebner and Barbara (Peter) Rowe. 4 grandchildren Brieanna (Bill) Fetzer, Nathan Rowe, Luke (Katie) Huebner and Angela (Josh) Nygren and 4 great grandchildren. One sister Judy (Lee) Walsh and two brothers Henry Mitchell and Milton (Rose) Mitchell and many nieces and nephews. She was preceded in death by one child, baby Huebner, 3 sisters and 3 brothers. The family will greet relatives and friends at the Faith Presbyterian Church in Crivitz on Saturday February 9th from 9-11 AM. The service will be at 11 AM with Pastor David Pleuss officiating. To send flowers or a remembrance gift to the family of Lois Jean Huebner, please visit our Tribute Store. "Email Address" would like to share the life celebration of Lois Jean Huebner. Click on the "link" to go to share a favorite memory or leave a condolence message for the family.